We already showed you the process for how to book a celebrity for an event, but one of the biggest problems people have is figuring out who to book. 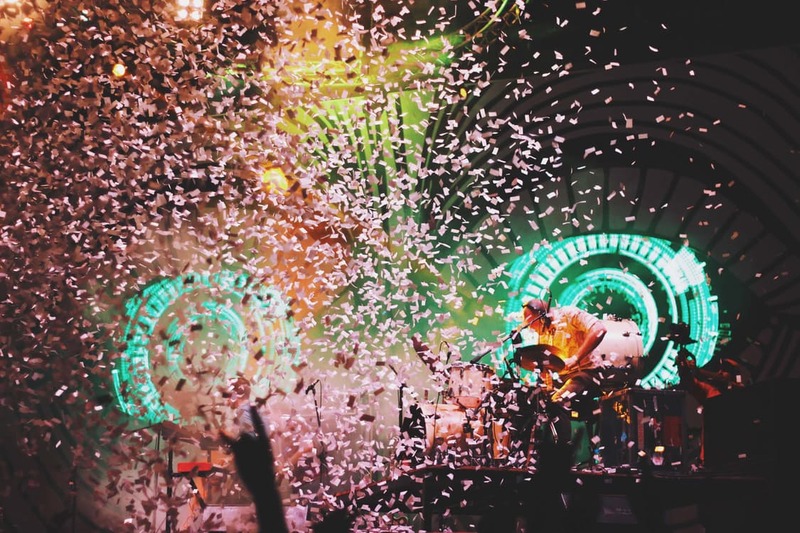 Event organizers and concert promoters often find themselves between a rock and a hard place when trying to book artists for a performance, or even just a celebrity for an appearance. Sometimes you give it all you have and still, the event turns into one big – and expensive – flop. Even with years of experience under your belt, you often find yourself groping in the dark. Don’t worry – you’re not alone. Everyone who’s chosen event and concert promotion as their career has been there sooner rather than later. * You tend to cover different venues and sometimes even work in different cities – audience interests vary wildly and it’s difficult to know how a specific artist will perform somewhere. 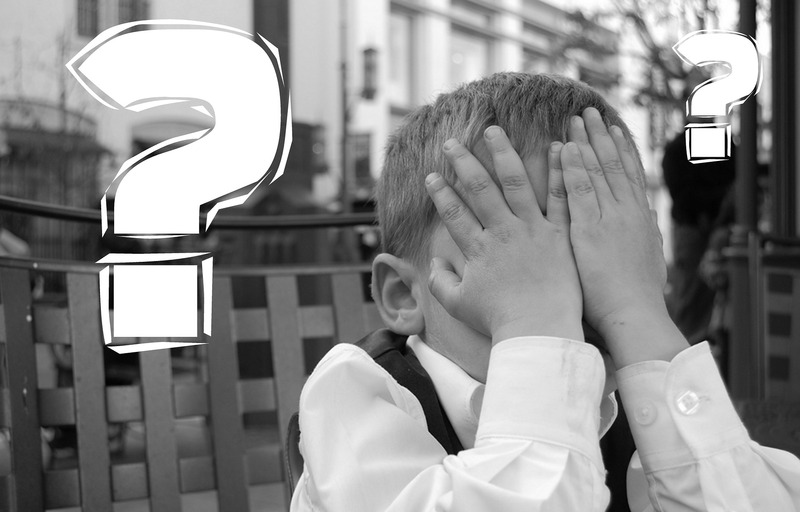 * It’s impossible to know audience interests without very expensive market research – even the best industry professionals sometimes make mistakes because they don’t have the money to throw prior to organizing an event. 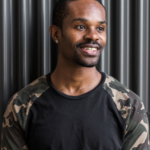 * New artists are emerging on a daily basis – until you take a chance and book someone for a gig you can’t know how well they will perform in your area. Working with these kinds of blinders on means that mistakes happen. 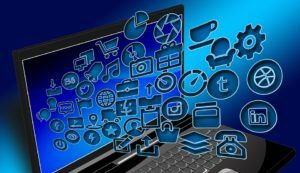 Luckily, social media tools can help here – Facebook is now so popular that nearly a quarter of our planet’s population has an active account. If you think about it, there are probably only a handful of people in your life who do not have Facebook – and this gives you an opportunity to get a pretty good idea which artists are popular where. Whether you are booking Lil Uzi Vert, or a social media celebrity I hope this guide will be useful for you. Here’s how you can use Facebook to find out which artists will make your event a smashing hit in any city, without spending a dime! What is more important, this type of basic research will save you from making extremely costly mistakes! 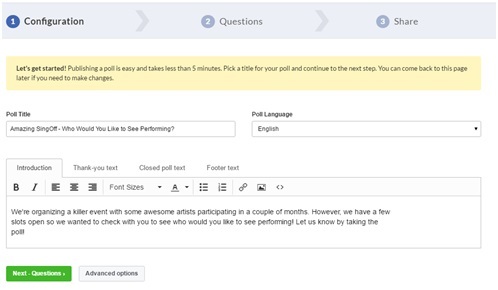 If you’re an event planner or a concert promoter your first option is to gauge interest by running a Facebook poll. 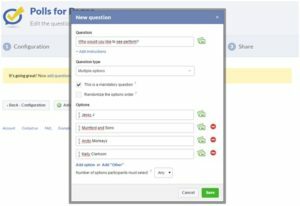 These polls work great if you already have an established and large Facebook page for your business or an event – also, it helps immensely if that page is localized. Good examples of these are fan pages of large venues or concerts and events that happen regularly. You can access the poll app at this link. The interface is clean and easy to use so you can create a quick poll even if it’s your first try. The whole process is very intuitive but here’s exactly what you need to do to finish it in a matter of minutes. Configuring your poll – Here you will simply write a short description for your poll. It will serve as a nudge to people reading it to go ahead and fill it out. As you can see in the image, here we’re trying to figure out which artists to book for an event in Chicago, Illinois. Asking your poll question – Ask your audience who would they like to see performing at your event. Try to keep it close-ended (don’t allow the poll-takers to add random artists), otherwise you might end up with the names of artists you can’t possibly book for the event. 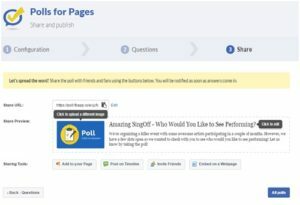 Publish your poll – The last page allows you to share your poll through your pages, your personal profile, or embed it on a website. Also, take some time and add a custom image to the poll – quality images will help you with engagement and ensure that your poll has a wider reach. Facebook polls are a great way to see what your audience is actually interested in without spending any money and they only take a few minutes to set up. Unfortunately, they only tell you as much as your fans are willing to share. If you have a large and loyal Facebook fan base in a certain city it might be enough to give you an idea of who to book. However, if you don’t then they will not be of any particular use and you will have to use other methods of finding out which artist might do well in a given city. One way to do that is through Facebook Advert Manager. Marketers around the world simply adore Facebook ads and part of the reason is the fact that they can be made and targeted with laser precision. 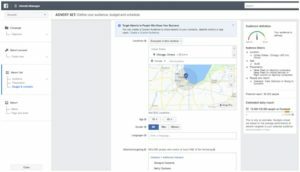 Event organizers can use certain features of Facebook ads to find out whether or not a particular artist is popular in a certain city. These features are free to use and you’re not required to spend any money or publish an actual Facebook ad in order to use them. Access Facebook Ad Manager – it takes a moment to load all your settings so be patient. 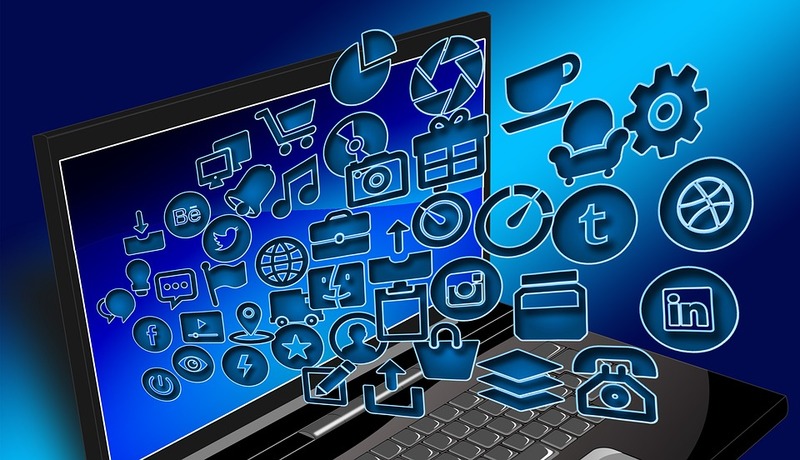 You will be taken to a campaign setup page which is your starting point for making good Facebook ads – or simply using the functionalities to your benefit! Choose the right objectives – there are many options here but in order to access the bare bones functionality of what you need simply choose ‘Increase Brand Awareness’ and ‘Raise Attendance at Your Event’. Then scroll down and click on ‘Create Advert Account’. You will be taken on a page where you enter your account info – simply leave everything as is and click ‘Continue’. Setting up audience targeting – now we’re coming to the good stuff. On this page, you will be able to pinpoint the exact location of your audience and their interests. It’s usually set rather wide – in this case ‘The United States’. Click x to remove the United States and add a city or area you want information for. Set location (in this case we’re using Chicago + 50 km) (or any other radius, depending on how far people will be willing to travel from). Define interests of the said audience – this is where you enter the name of the artist you’re researching, Also, it might be a smart idea to add an interest ‘Going to concerts’ simply to weed out people who like the artist but do not frequent events or concerts that often. Play with demographic data – not everyone is your target audience. To get more accurate results, play with demographic targeting – exclude people over 60, for example; or try to figurate which percentage of fans are females and which males – this is easily done by toggling ‘All’, Men’, and ‘Women’ settings. 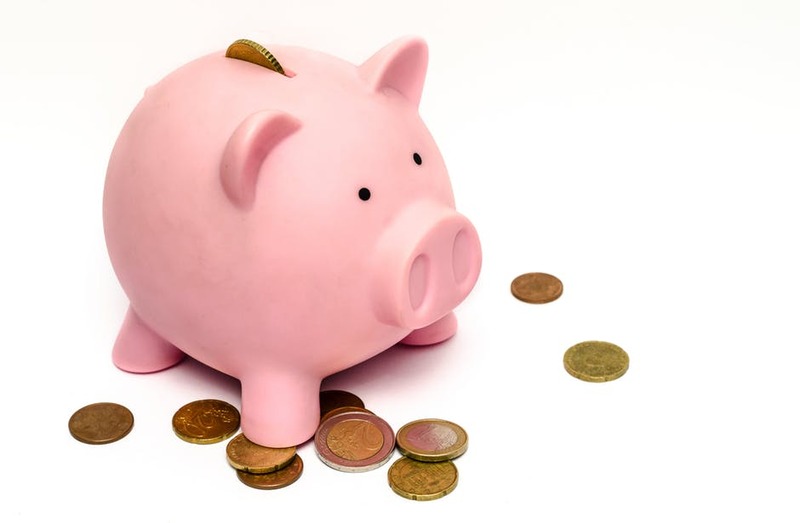 Set a daily budget – make sure it is high so you get the most accurate number of potential people who will see your advert based on your inputs – set it at $10,000 per day and don’t worry about it, you won’t be going live with it! As you can see in the examples, the potential reach of our ad during 30 days that we’ve set it to run is 98,000. This means that approximately 98,000 people have an interest in Kelly Clarkson and visit concerts in a 50-kilometer radius of Chicago. These are all unique accounts since Facebook calculates potential reach instead of ad impressions. Repeat this process with every artist and location you need information for and you will get a pretty accurate picture of how many people you can market your event to and does it even pay off to bring a certain artist somewhere. You can easily do this with any artist and it’s not only limited to singers – it can be applied to comedians, performers, TV personalities and so on. 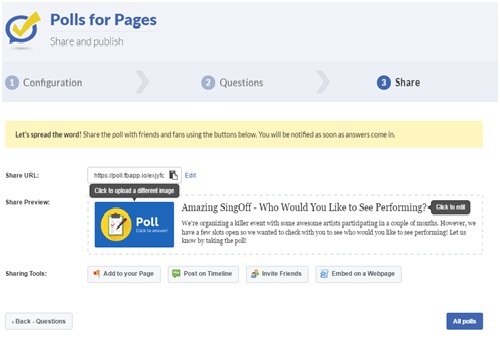 As you can see, Facebook allows you do get rid of guesswork when researching which artists to book for your next event. It also doesn’t cost you a dime and takes just a fraction of time when compared with traditional market research techniques. The data you can get from it, combined with your historical attendance data, will help you make the right booking decision almost every time.